Attn: Frisco, TX - Got Hail Damage From 3/26/17 Hail Storm? We can help! ​The Frisco Community was slammed with enormous hail by the March 26, 2017 hail storm. If your vehicle was outside it is guaranteed that you received substantial hail damage. Many of the vehicles we are seeing in the Frisco area have glass and molding damage as well. If you desire a honest, local and certified auto hail repair company for your auto hail repair needs, contact us now! 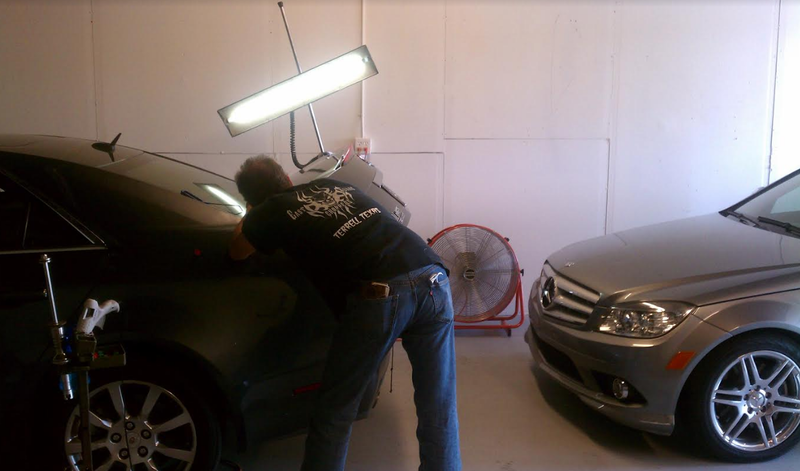 We have been in business since 2005 and at the same North Dallas Repair shop since 2011. We specialize in repairing hail damage vehicles and that is all we do. No matter how minor or serve the hail damage is we are here to help. Why would you want to take your vehicle to a general body shop when you take it to a specialty shop like us? We try to minimize the amount of paintwork, panel replacement, bondo and evasive repair methods that traditional paint and body shops use. 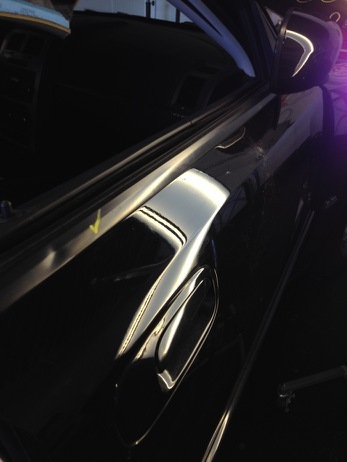 We us paintless dent repair as much as possible to remove the hail dents and keep our customer's vehicle as original as possible. 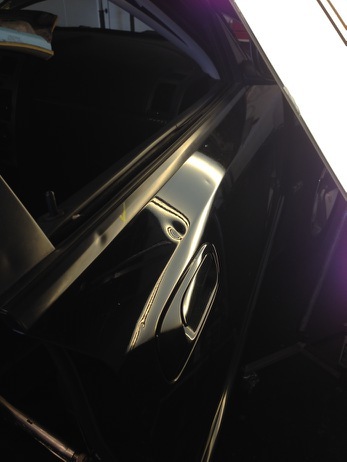 Body shops are too quick to remove panels, paint and wipe large amounts of bond on vehicles that could of been repaired by a great paintless dent repair company like us. We are aware that there are limits to PDR but are pleased to offer in-house traditional paint and body repair for all that damage as well. If you have one or more damaged vehicles from the Frisco, McKinney, Little Elm are bring them to us! 1. No out of pocket expense for most customers with comprehensive insurance coverage. 2. We PDR as much of the hail damage as possible to ensure a seamless repair without paint work issues or delays. 3. Your vehicle retains original OEM panels and paint that helps with resell. 5. We maintain factory seams and welds on body panels as compared to body shops that cut off roof panels and replace original panels with cheap aftermarket options. 6. We are a small shop so you receive quality personalized service. What Is Our Hail Repair Process? Once your insurance company completes the initial inspection and preliminary estimate the process is really easy for our customers. Give us a call to schedule a repair appointment and we take over the claim from there. The next time you see your vehicle, it will be detailed and returned back to pre-storm condition. Ready for a hassle-free hail repair? Give us a call today! What Is The Difference Between Your Repair Shop And Local Body Shops/Dealerships? 1. We are independent so we can waive all or portions of your insurance deductible. 2. We are specialist who only repair hail damage as opposed to a body shop that are generalist. 3. We actually perform the repair on your car. When you choose local body shop/dealerships they actually sub out your repair to an external dent company like us so you are really dealing with the middle man. 4. We have a small number of repairs on hand so this means a more efficient repair for your vehicle. 5. We choose PDR over conventional repair so the amount of bondo, aftermarket parts and sanding is minimized. No matter what your needs, we are here to help and have assisted with the vehicles of countless Frisco, TX (plus Plano, Allen and Mckinney) residents just like you. Our customers are continually amazed on how thorough and efficient our Hail Damage Repair process is. 9959 Royal Lane in Dallas, TX - Visit Us Today!